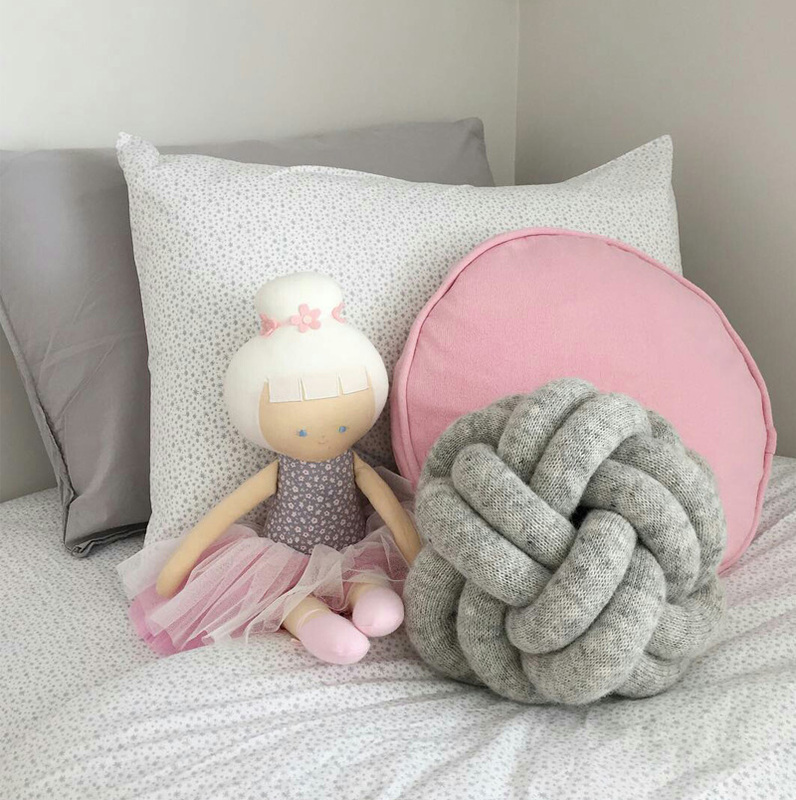 Being cosy and playful are the key elements of every good kid’s room design, and a few carefully chosen cushions could be just what you need to bring the touch of warmth and snuggliness into your little girl’s nest. 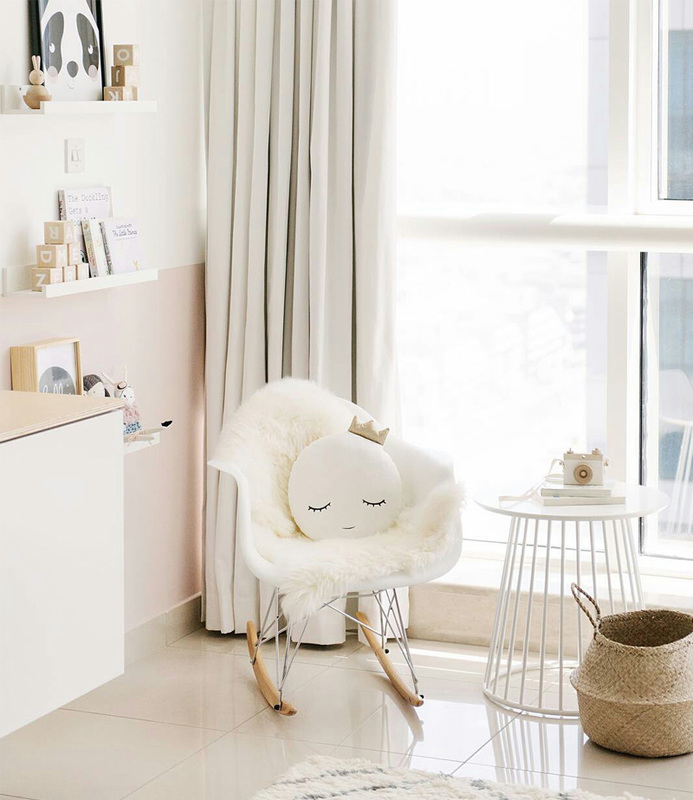 If your daughter’s room features white walls and neutral furniture, you are probably on the hunt for stylish accessories to make her room pop. 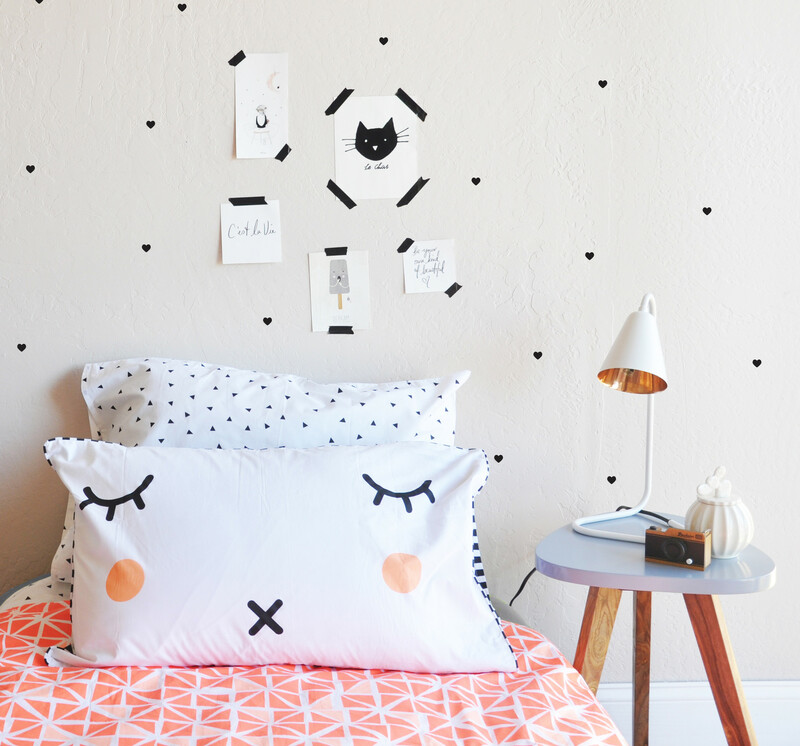 Adding some adorable cushions will do the trick and put a smile on your girl’s face. 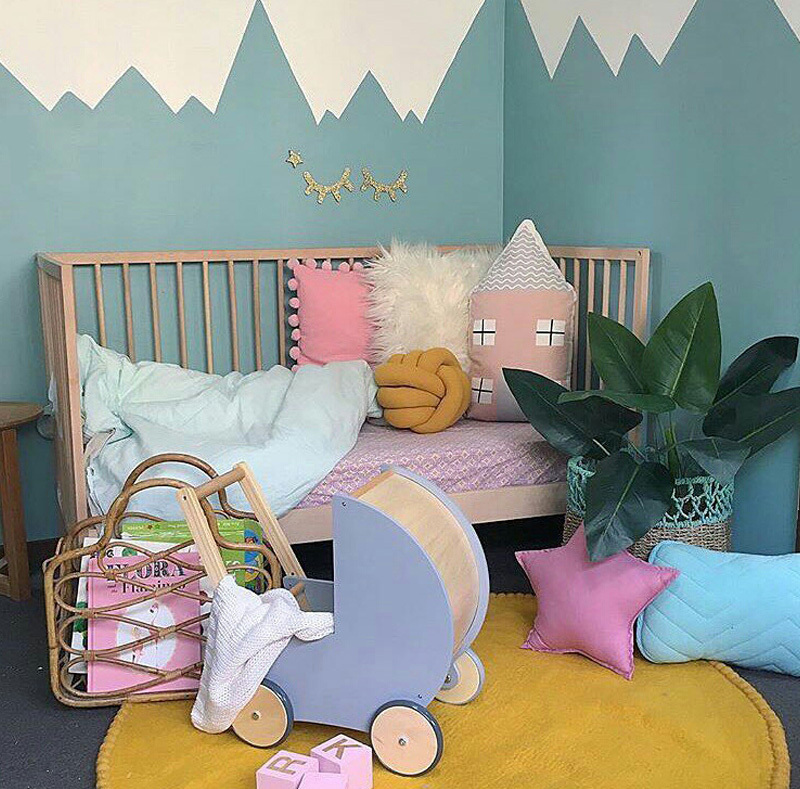 Spark her imagination by creating a truly magical space filled with toys and cushions she will cherish. Having a plain interior to start with will allow you to constantly experiment with its style. 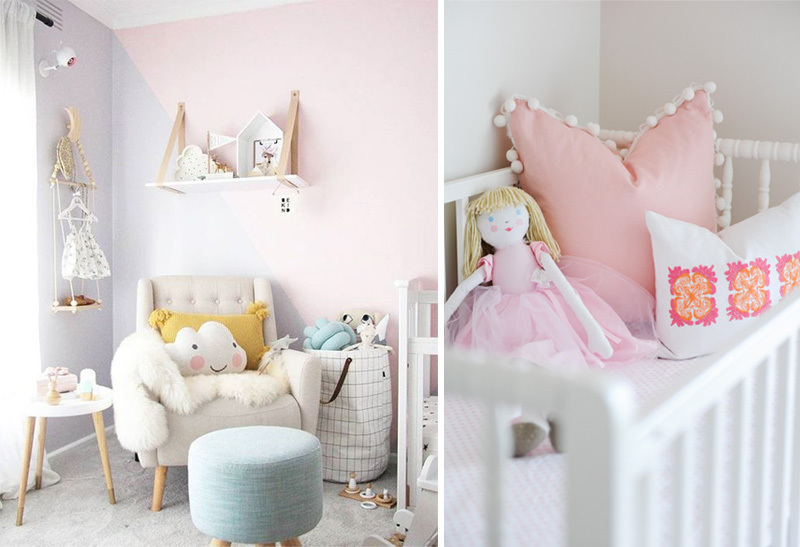 Inject the playfulness into your girl’s neutral room by scattering the cushions in vivid colours on her bed, floor or play den. 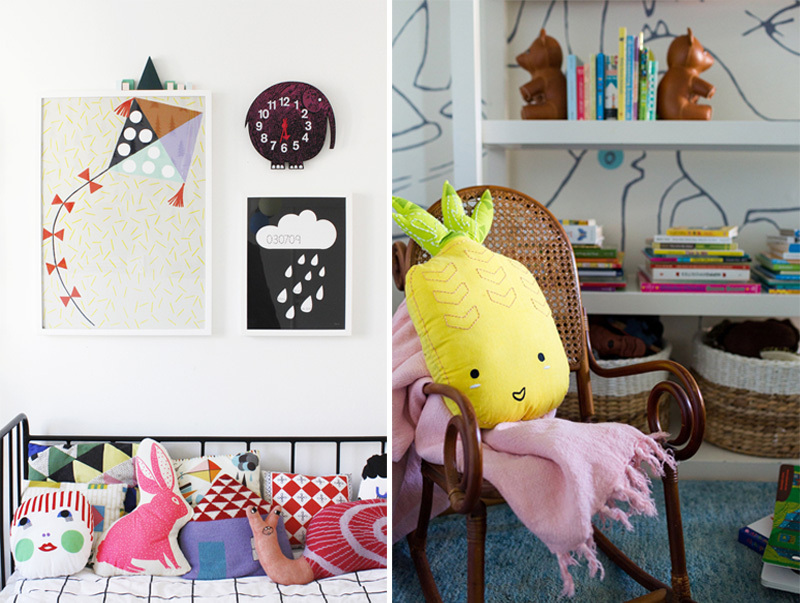 Pineapple, swan, cactus, ice cream or knotball cushions are just some of the possible characters to steal the show. 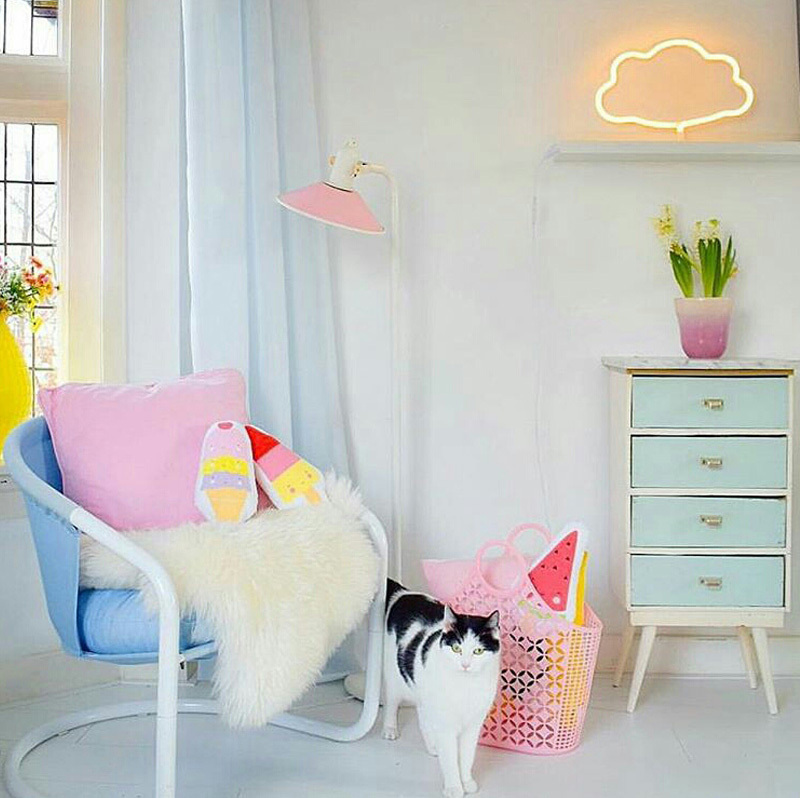 By making the right choice, you can easily add a spark to such rooms, and with just simple updates end up with a totally new look. 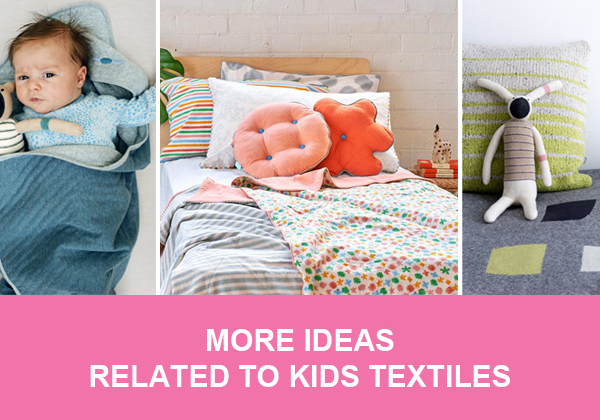 Your girl will never get bored of discovering new ways to reinvent her space while growing up. 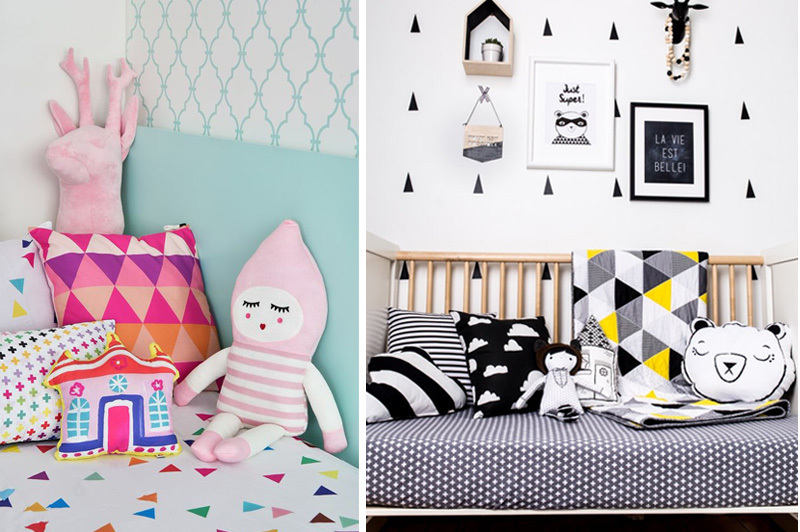 If you are an avid pinner you have probably seen your share of kids’ rooms stained in black and white. Kids love them and so do the adults. 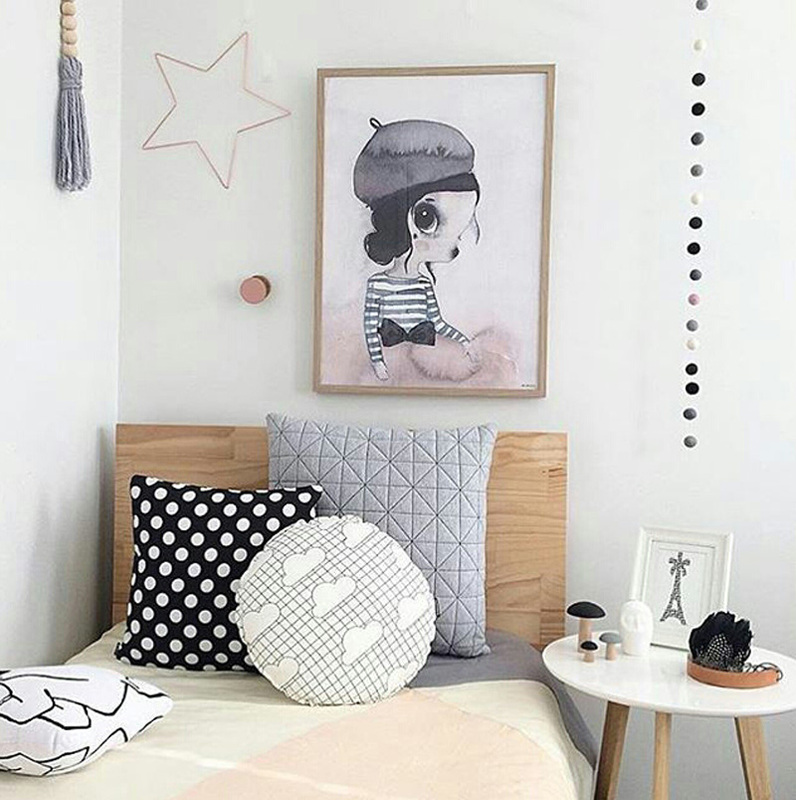 Black and white cushions in girls’ rooms prove once again that less certainly is more (just have a look at those gorgeous photos below). 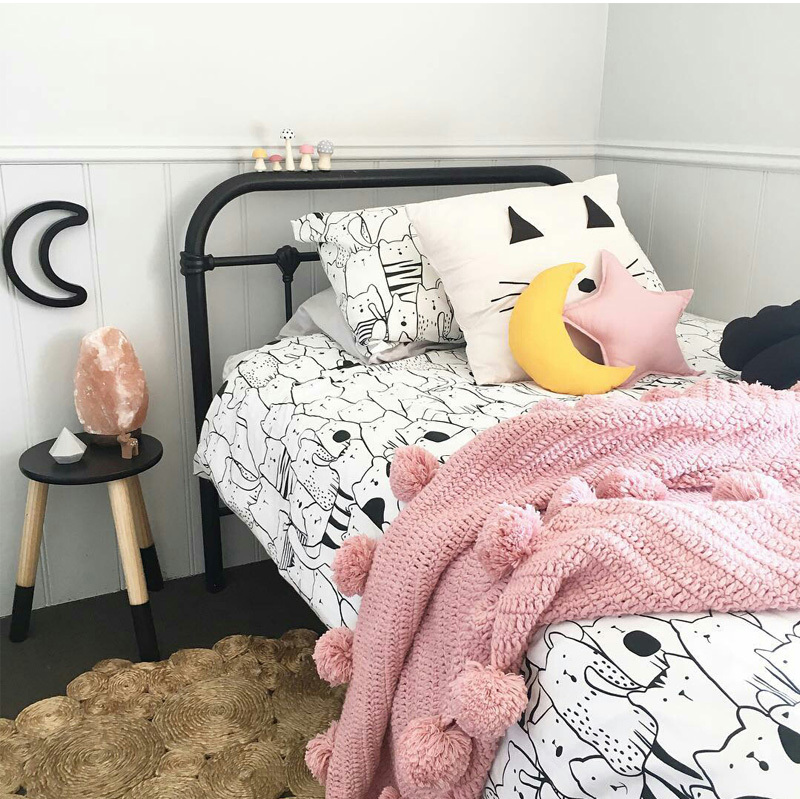 Even though this colour combination is usually associated with boy’s or gender neutral designs, if styled properly black and white cushions can be a perfect fit for you little princess’ room. 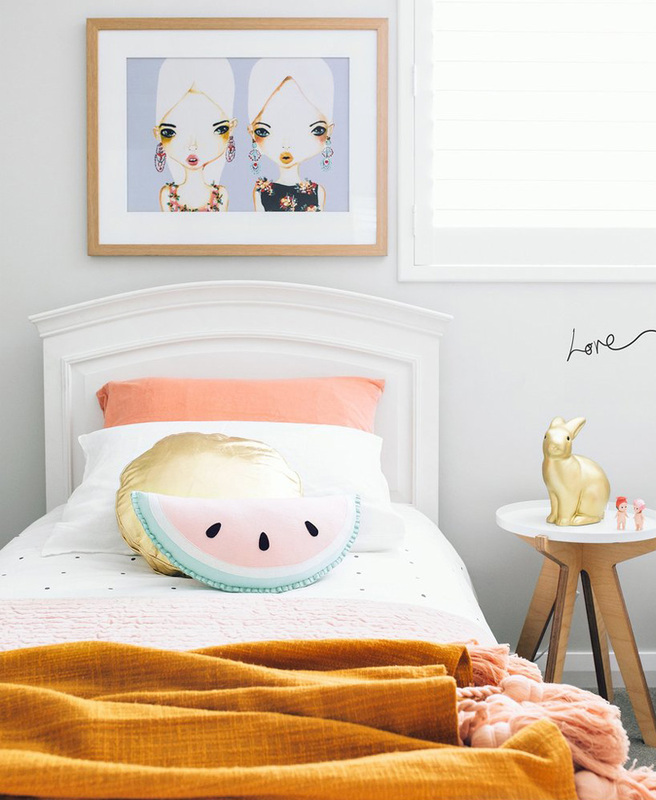 Feminine lines coupled with pops of colour here and there are just what you need to prevent your girl’s room from becoming overly sweet and whimsical. Geometry inspired cushions are one more idea to consider. Not only will they blend in perfectly into any room’s design, but they can also be used for educational purposes. Invent a “guess the shape” game and play it with your daughter. It will benefit both your relationship and her academic performance. Many girls can’t fall asleep unless hugging their favourite toy. But what if that toy also doubled up as a cushion? 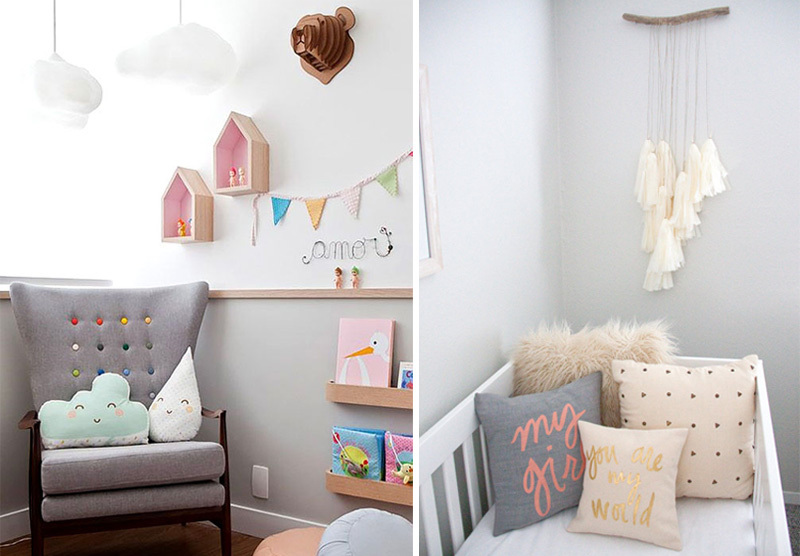 Anything that could help your little angel sleep more soundly is a welcoming addition to her room. 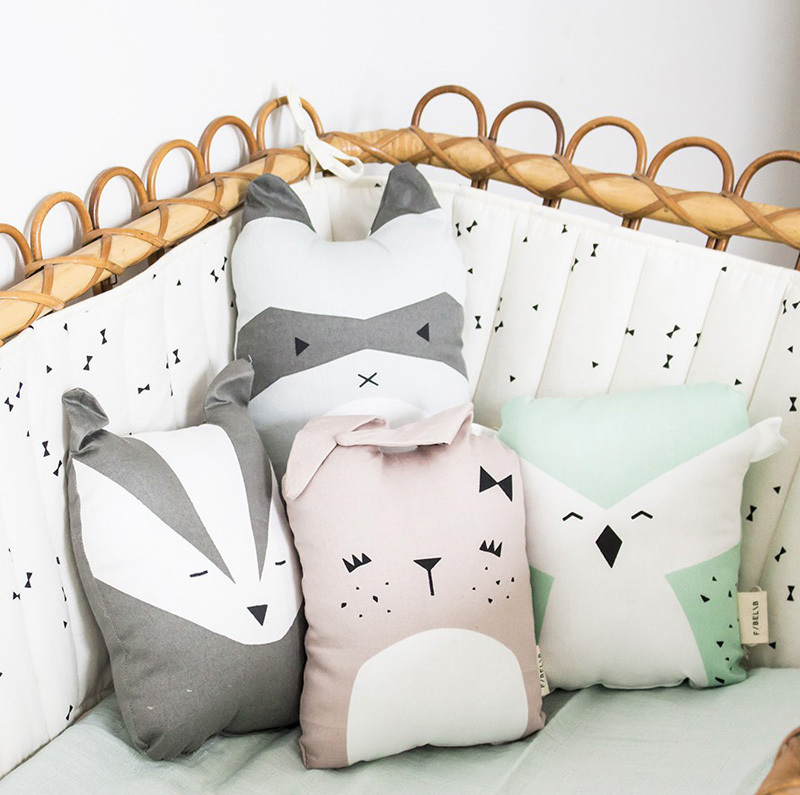 And the chances are the soft toy cushions will be your princess’ favourite little playmates. 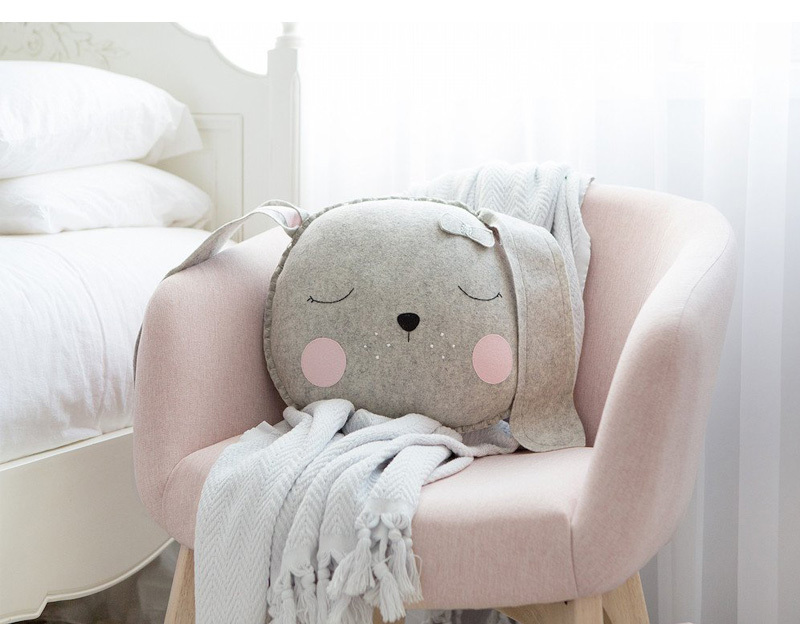 These snuggly, soft toys are usually shaped as friendly forest animals, cheerful unicorns, elegant dolls, sweet fruits, and more. The perfect companion to be carried around on daily adventures. And if she ever feels the need to take a rest, she can always lay her head on her huggable toy cushion. 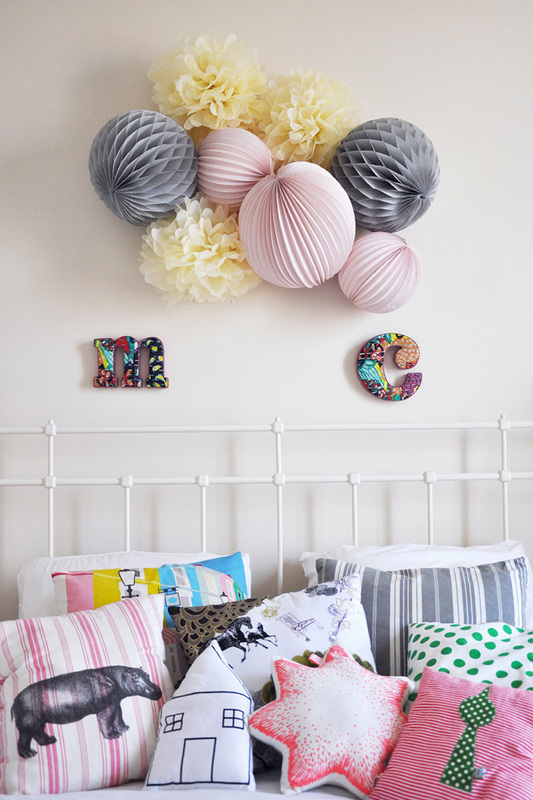 Have fun with sourcing the perfect pillows for your girl’s room. With so many options available on the market, styling a chic place full of charm should be a walk in the park. 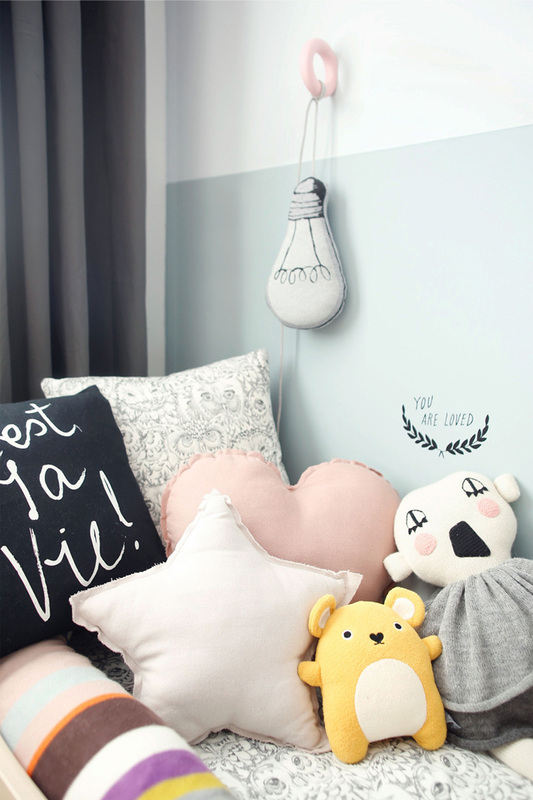 Just make sure to check our favourite cushions right now for some stylish hints.